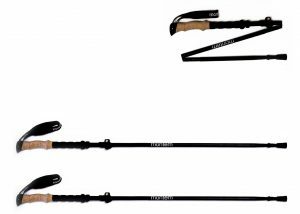 Another great set of trekking poles from Montem! These Montem Folding Trekking Poles are perfect for hiking, backpacking, walking, mountaineering, snowshoeing, climbing, and all adventure travel. Claimed to be built from the same form of aluminum used in airplanes, we gave it a test, and it definitely holds up with a sturdy weight bearing system capable of supporting over 300 lbs. These trekking poles fold into three pieces and the shafts include “quick twist” locking system so your poles never collapse without untwisting. This is a nice feature not available on many folding poles. The adjustable quick lock allows adventurers of any height to quickly lengthen the poles in order to achieve the perfect height for your needs. If you are interested in non-folding Montem trekking poles, check out their Montem Ultra Strong Trekking Poles and Montem Carbon Fiber Trekking Poles. The Montem Folding Trekking Poles are made of aluminum alloy 7075. Narrow in diameter and weighing just 10.5 ounces per pole, these hiking sticks are lightweight and popular with consumers of all ages and needs. The grips, designed to be sturdy on the outside and averse to tears but soft and comfortable for the user, are made of dual-density EVA foam. There’s a lower grip area for carrying the poles. Adjustable wrist straps are included and attached – with the added benefit of comfortable padding. Montem Folding Trekking Poles have a unique design that allows them to fold to just 16 inches in length, or about 40 percent less than most traditional poles. They will easily fit into your carry-on luggage or day pack with a weight of only 10.5 ounces per pole. They are ultralight, sturdy, and great for traveling. They also employ employ a “flick-lock” arrangement to quickly lengthen the poles from 115 – 135 cm in order to achieve the perfect height for your needs. Tough tips are featured, made of an extremely sturdy rubber with preformed indentations to ensure grip on uneven and soft terrain. There are also trekking baskets which are attachable to the main footing to assist in travels through snow. These seem to work very well in dispersing weight from the poles during snowy hikes. (Alternatives can be found, but it’s important to check pole diameter first.) The features are neat, simple, and reliable. All requirements for a long term hiking pole. As a new entry into the highly competitive trekking poles market, Montem is coming in with a passion not seen for quite some time. They want to validate themselves as one of the top tier poles for both serious and sparse hikers. What started out as a trekking pole developed by hikers, for hikers became a passion for developing, designing, and engineering the most ergonomic, and innovative outdoor gear. Their mission is to bring you the highest quality gear, for the best prices, with a touch of style, and a whole lot of ingenuity. 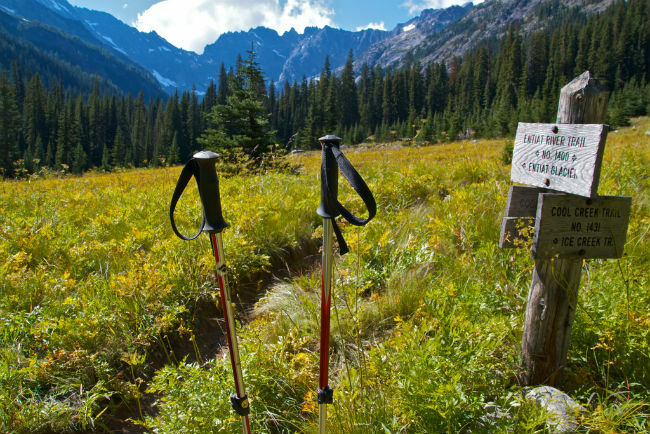 It’s safe to say that these poles are great for beginners as well as experienced hikers. With one of the highest weight thresholds, adjustable heights, and extended grips, they tackle many tasks and terrains. Upon initial testing’s, many new owners will suggest Montem’s initial foray into folding trekking poles is of higher quality than most manufacturers’ “best.” Built for people who regularly take on the toughest outdoor challenges, as well as people who peruse the streets (looking at you, nordic walkers), these are seriously good poles. When you position the poles, you’ll know your balance is uncompromised immediately; you also enjoy terrific feedback that allows you to “feel” what’s happening at the end of them. If you want high-end folding trekking poles for a great deal, you’re in luck. 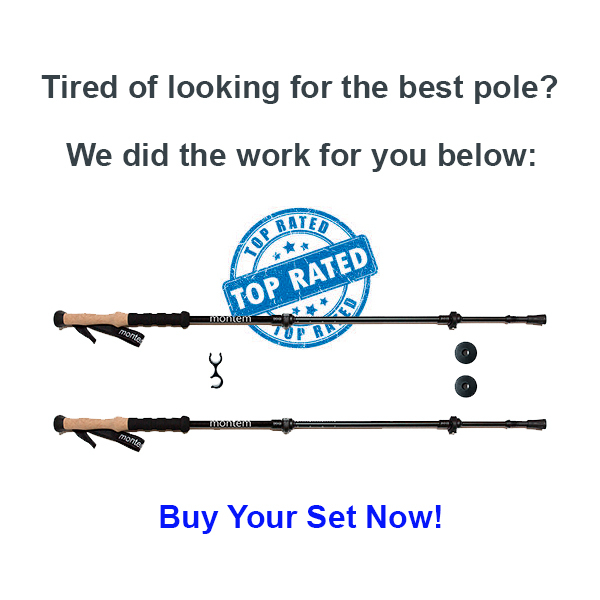 At Amazon.com these are one of the best deals you’ll get on high end trekking poles. Many trekkers and climbers would argue that there are actually very few manufacturers that offer hiking poles of the Montem’s high standard. They’re comfortable, strong, and light. 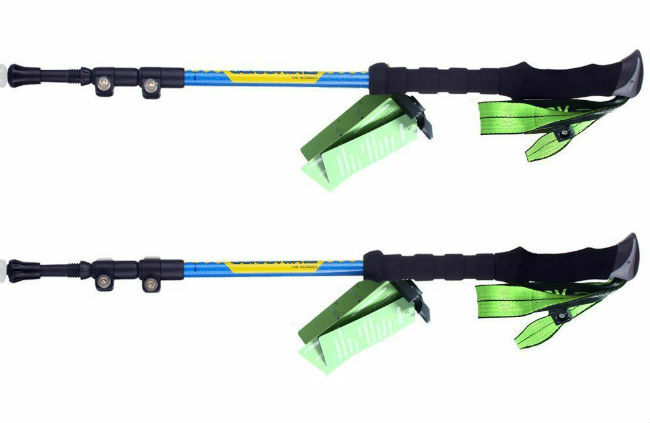 These Montem Folding Trekking Poles are a great deal for the value they provide. From committed outdoor enthusiasts to local strollers, these poles will offer a great work out, as well as a sturdy base you can rely on. For the price, it doesn’t get much better than this.